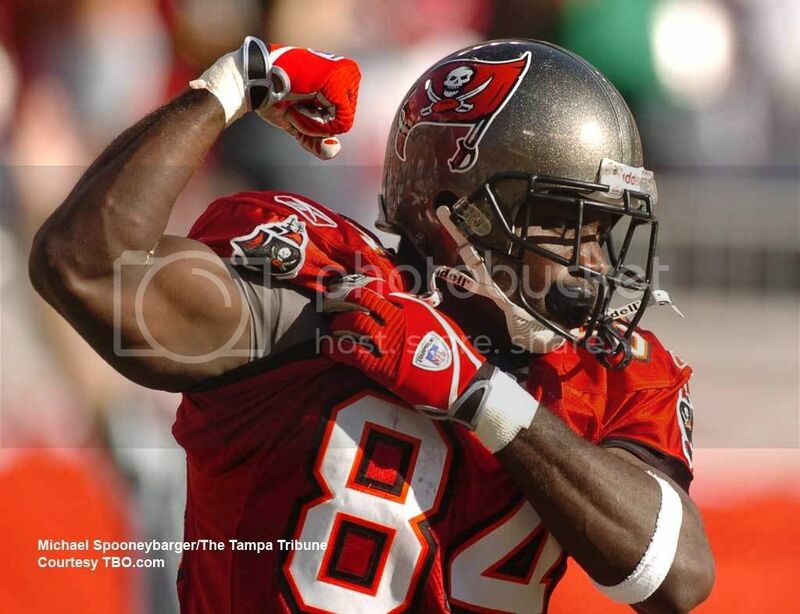 The Redskins have agreed to terms with veteran wide receiver Joey Galloway, according to a league source. Galloway, 38, is a 15-year veteran who would provide leadership for a mostly young receiving corps if he makes the roster. He signed a one-year deal with the team, according to ESPN’s Adam Schefter. Galloway began last season with New England but played in only three games and was released in October. Pittsburgh picked him up late in December but he didn’t appear in any games for the Steelers. Galloway, who is joining his sixth NFL team, was with the Buccaneers when Redskins General Manager Bruce Allen was running Tampa Bay’s front office. He is a four-time Pro Bowl alternate and has tallied six seasons of 1,000-plus yards, though none since 2007. That year also marked the last season Galloway was a regular starter in the league. The Redskins now have 10 wideouts under contract for next season. Last year, Antwaan Randle El was used as the team’s the Redskins’ third wide receiver, usually lining up out of the slot. Since his release, they’ve yet to sign a wideout that automatically replaces Randle El in the rotation, though Galloway could be an option. The team’s other wide receivers include Santana Moss, Devin Thomas, Malcolm Kelly, Marko Mitchell, Anthony Armstronng, Marques Hagans, James Robinson and Roydell Williams. They also drafted UCLA’s Terrence Austin laast weekend. Well well, it seems the front office WAS looking for a veteran receiver afterall, just NOT Terrell Owens. And you know what? It makes all the sense in the world. You want that veteran lining up with the young guy, helping them to develop the finer points of their route running, getting available, etc. And the best part about Galloway is that he’s not TO, doesn’t come with all the baggage and the hype — he keeps his head down and plays ball. I like this move because there was an ever so slight need at the WR position, and this move has something for everyone in it. He should be well rested, and ready to work out for a starting spot. For once in a long while, the Redskins have some competition at WR and the person who should feel best about these new targets this is the head gunner of course — Donovan McNabb. How do you POSSIBLY not love the way Allen, Shanahan, and the coordinators have handled this off season? Talk about planting lemonade and getting back a forest of trees. Uh…what? Sounds like the “lemonade” has yielded a lot more Kool-Aid drinking than a “forest” of renewed expectations! C’mon, really… is this textbook re-building? The comment in context applies to the whole off season, not the sum of its parts. gestalt principle if it were a football organization. off season for me includes the draft, restructuring of coordinators, scheme changes, free agency, trades, cuts, etc.